A GtkWindow is a toplevel window which can contain other widgets. Windows normally have decorations that are under the control of the windowing system and allow the user to manipulate the window (resize it, move it, close it,...). The GtkWindow implementation of the GtkBuildable interface supports a custom <accel-groups> element, which supports any number of < group> elements representing the AccelGroup objects you want to add to your window (synonymous with add_accel_group. main CSS node with name window and style class .background, and a subnode with name decoration. The icon_name property specifies the name of the themed icon to use as the window icon. The startup_id is a write-only property for setting window's startup notification identifier. Gets the value set by set_default_icon_list. Returns the fallback icon name for windows that has been set with set_default_icon_name. By default, after showing the first Window, GTK+ calls notify_startup_complete. Sets an icon to be used as fallback for windows that haven't had set_icon called on them from a pixbuf. Sets an icon to be used as fallback for windows that haven't had set_icon_list called on them from a file on disk. Sets an icon list to be used as fallback for windows that haven't had set_icon_list called on them to set up a window-specific icon list. Sets an icon to be used as fallback for windows that haven't had set_icon_list called on them from a named themed icon, see set_icon_name. Activates mnemonics and accelerators for this Window . Associate accel_group with this , such that calling accel_groups_activate on this will activate accelerators in accel_group. Asks to place this in the fullscreen state. Gets the value set by set_accept_focus. Returns whether the window has been set to have decorations such as a title bar via set_decorated. Returns the default widget for this. Returns whether the window has been set to have a close button via set_deletable. Gets the value set by set_focus_on_map. Gets the value of the focus_visible property. Gets the value set by set_gravity. Returns the group for this or the default group, if this is null or if this does not have an explicit window group. Gets the value set by set_icon (or if you've called set_icon_list, gets the first icon in the icon list). Retrieves the list of icons set by set_icon_list. Returns the name of the themed icon for the window, see set_icon_name. Gets the value of the mnemonics_visible property. This function returns the position you need to pass to move to keep this in its current position. Gets the value set by set_resizable. Obtains the current size of this. Gets the value set by set_skip_pager_hint. Returns the custom titlebar that has been set with set_titlebar. Returns whether this has an explicit window group. Asks to maximize this, so that it becomes full-screen. Asks the window manager to move this to the given position. Propagate a key press or release event to the focus widget and up the focus container chain until a widget handles event. Reverses the effects of add_accel_group. Hides this, then reshows it, resetting the default size and position of the window. 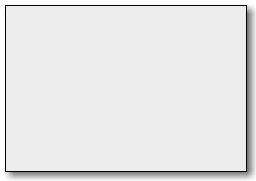 Like resize, but width and height are interpreted in terms of the base size and increment set with gtk_window_set_geometry_hints. Marks this as attached to attach_widget. The default widget is the widget that’s activated when the user presses Enter in a dialog (for example). Like set_default_size, but width and height are interpreted in terms of the base size and increment set with gtk_window_set_geometry_hints. If setting is true, then destroying the transient parent of this will also destroy this itself. Window gravity defines the meaning of coordinates passed to move. Sets whether this has a corner resize grip. Tells GTK+ whether to drop its extra reference to the window when destroy is called. If setting is true, then this will request that it’s titlebar should be hidden when maximized. Sets the icon for this. Asks to keep this above, so that it stays on top. Asks to keep this below, so that it stays in bottom. Request the windowing system to make this partially transparent, with opacity 0 being fully transparent and 1 fully opaque. Sets the Screen where the this is displayed; if the window is already mapped, it will be unmapped, and then remapped on the new screen. Sets a custom titlebar for this. Asks to stick this, which means that it will appear on all user desktops. Asks to toggle off the fullscreen state for this . Asks to unstick this, which means that it will appear on only one of the user’s desktops. The activate_default signal is a keybinding signal which gets emitted when the user activates the default widget of window. The activate_focus signal is a keybinding signal which gets emitted when the user activates the currently focused widget of window. The enable_debugging signal is a keybinding signal which gets emitted when the user enables or disables interactive debugging. The keys_changed signal gets emitted when the set of accelerators or mnemonics that are associated with window changes.